6 in. Diameter Gong We have provided a sound file if you would like to hear this Chimes beautiful sound. 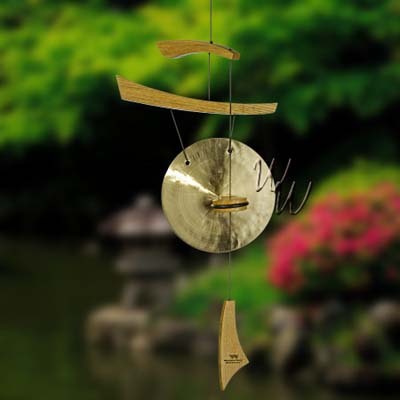 Captures the romance and splendor of the Far East with its wonderful sound and graceful design. A smaller version of our best selling Emperor Gong. Inspired by traditional Asian design, our Emperor Series is intended to reflect balance, harmony, grace and beauty.